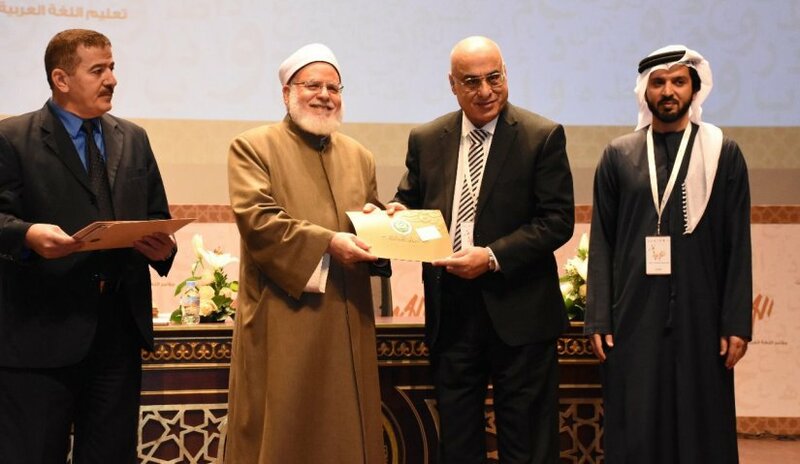 Al Falah University participated in the Third International Conference for the Arabic Language in Sharjah which opened last Wednesday, 31st January 2018. The conference entitled "Teaching and Learning Arabic, Looking Towards the Future: Opportunities, Challenges" was held under the patronage of His Highness Sheikh Dr. Sultan Bin Mohamed Al Qasimi, Member of the Supreme Council Ruler of Sharjah. The conference, attended by Arabic specialists and educators aimed to further develop methods of teaching the Arabic language, to promote and share knowledge regarding the language and to discuss the challenges and possible solutions in teaching and learning Arabic. Prof. Nasr Abbas, Professor for College of Mass Communication also presented a scientific paper during the conference.